Nature has inspired art and artists for so many years, be it in a still life, as decoration or even as a material to paint with, but the most intricate way artists use nature in their work is to accentuate and frame their creations. Some of the most stunning artworks have been embellished by foliage and nature. 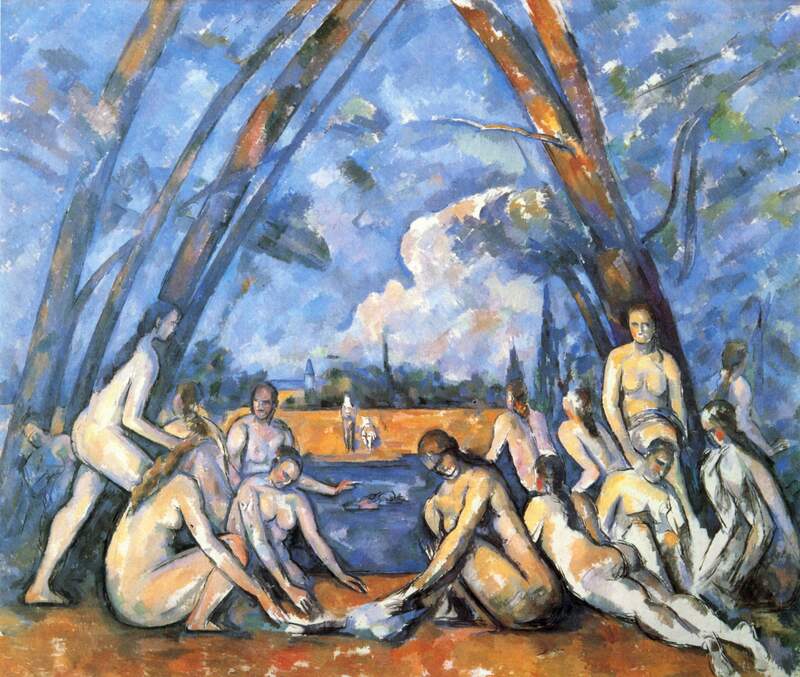 Cezanne’s The Large Bathers, 1906, is part of a series of bathers, yet is the largest of the collection, hence the name. Although the story has been discussed by many, it is unconfirmed, it’s undeniable that this piece is timelessly tranquil. The scene is framed by barren trees which emphasises the triangle shape that is being formed. The trees also assist in creating fluidity and a sense of equality. A mystical mood is wholeheartedly encapsulated in this nature-enhanced painting, creating a sense of serenity. Apollo and Daphne by Bernini c.1622-25 is a Baroque styled sculpture with a beautifully haunting story. The Greek myth about a forceful God and resisting Nymphis portrayed in such an elegant manner of which is further enhanced by the intricate details of the foliage that springs off of Daphne’s fingers and intertwines round her legs. The sculptures delicate embellishment adds to the desperation of both figures and really enhances the mood of the scene. 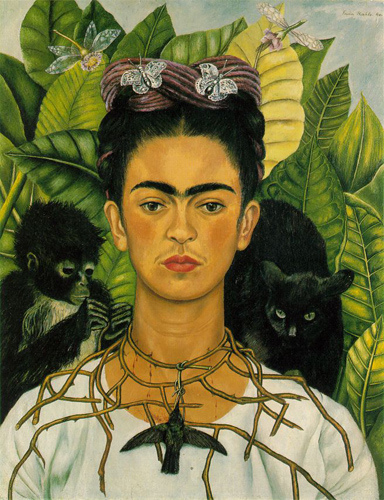 Frida Kahlo’s Self-Portrait with Thorn Necklace and Hummingbird c.1940 is the embodiment of ethereality and empowerment in this stunning visual. The warm tones in the painting are complemented by the background of carefully placed leaves. The leaves not only frame Frida beautifully but they also make her the focus and really help capture the intense spirit and aura portrayed through this painting. 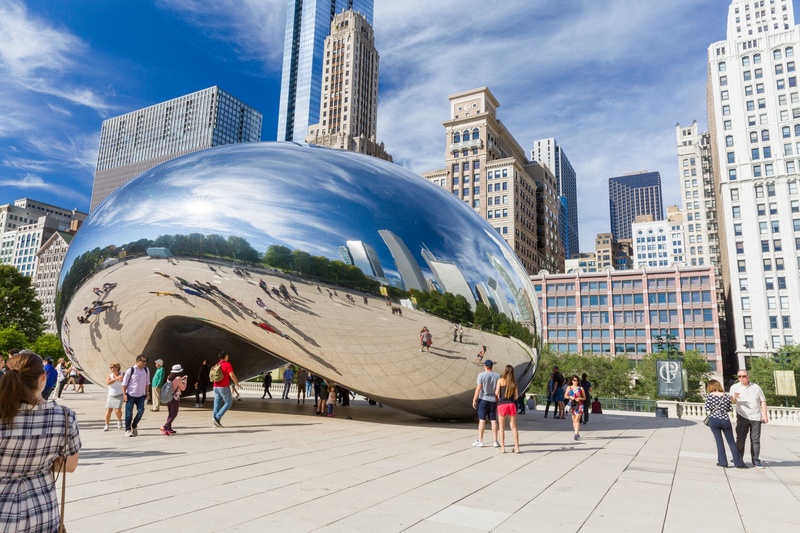 In contrast to works that have been framed by nature in the actual artwork, Sir Anish Kapoor’s Cloud Gate (The Chicago Bean), constructed between 2004-2006, is physically surrounded and framed by the environment, be it trees, people and the cityscape. It’s certainly a wonderful example of utilising your surroundings and turning them into something unique and beautiful. 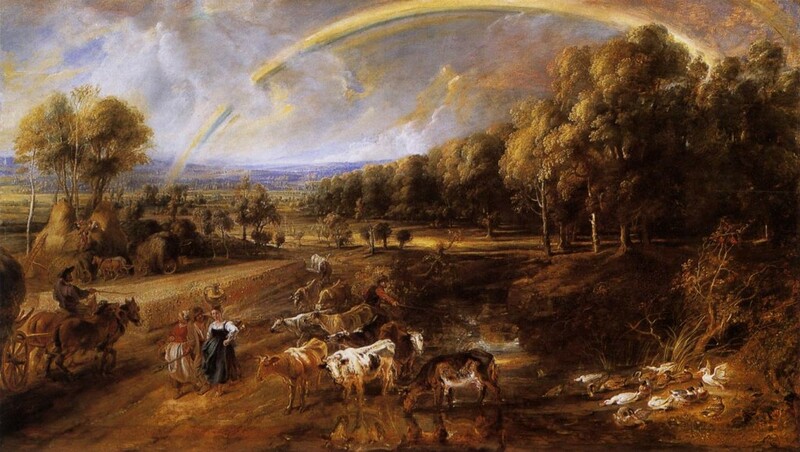 Another fantastic painting that nature is heavily incorporated in is Peter Paul Ruben’s The Rainbow Landscape c.1636. The oil painting is not only framed by nature but the vanishing point is led by nature too. To further enhance the influence and inspiration from the surroundings in the countryside is that it’s actually an oil on oak panel, which adds to the essence and atmosphere to the painting. These five artworks may be far apart in meaning, mood and theme but the adoration and appreciation that the artists had for nature is clear. Furthermore the different ways in which nature has been used to frame each work is equally unique and stunning, making these works of art incomparable to any!